Cyber Monday is one of the busiest online shopping days of the year. Here are the deals flying off the virtual shelves. 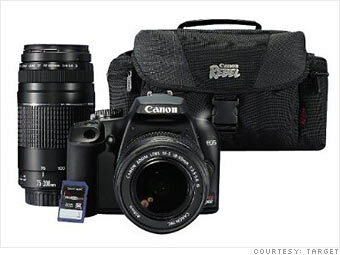 On Target.com, a Canon EOS Rebel XS digital camera, with two lenses, carrying case and media card -- regularly $849.99 and on sale for $599 -- was so popular it sold out before noon.